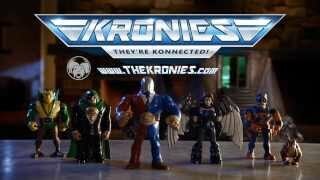 //Powerhouse Animation Studios was hired by the elusive Chimera corporation to produce animation for their Kronies action figure commercial. We were flattered to be chosen for such a prestigious project and took inspiration from many of the GI Joe commercials of our childhoods. Get Konnected and collect them all! We had a great time designing and animating the five Kronies Karacters for Chimera’s web launch and we are looking forward to getting our hands on the toys. 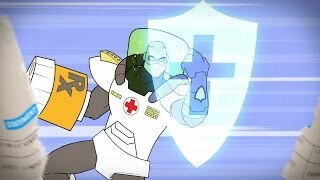 The unique mix of animation and live action make this piece an ideal example of some mixed media projects we work on here at Powerhouse. We created turnarounds of the characters so that Chimera could make 3d printed models for the live action spot itself. Get Konnected for news and updates from The Kronies!